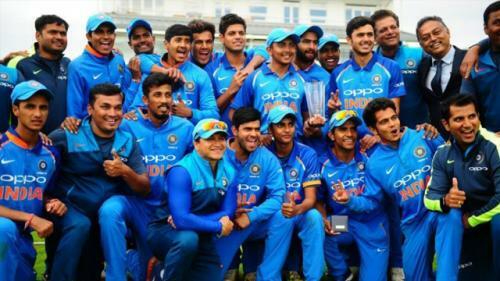 The Indian U-19 Cricket team will be visiting Sri lanka for two four-day games against the Sri Lankan cricket team. Seen the recent headlines? They have been highlighting the inclusion of Arjun Tendulkar in the squad! The son of legendary Indian cricket Sachin Tendulkar, Arjun has been included in the U-19 team and he will be travelling with the squad to bring success back home. Interesting right? Yes we all are excited to see another Tendulkar shining in all levels of Indian cricket. People have high expectations with him and want him to be equally successful just like his father previously had been. Sachin Tendulkar has expressed immense happiness over the fact that his son has been selected for the U-19 team. He also stated that it is a very important milestone in his cricketing career and wished him luck. Rajiv Shukla who is the senior officer of Board of Control for Cricket in India (BCCI) has also confirmed this news. Arjun Tendulkar who is currently 18 years old has also played successfully in the Mumbai U-14, U-16 and U-19 teams as well. It seems the Indian Senior Cricket team is going to have another Tendulkar under their radar very soon! Arjun is 6ft and 1inch tall and has a perfect physique which every cricketer requires. He is a left arm fast bowler and comes to the pitch to bat at the lower middle order. A selection committee comprising of Ashish Kapoor, Gyanendra Pandey and Rakesh Parikh made the decision of including Arjun Tendulkar into the U-19 squad. Don’t know the line up yet? Well, after all the proceedings have been done, the final squads for the two four-day games looks like this- Anuj Rawat (C) (wk), Atharva Taide, Devdutt Padikkal, Aryan Juyal (VC) (wk), Yash Rathod, Ayush Badoni, Sameer Choudhary, Siddharth Desai, Harsh Tyagi, Y.D. Mangwani, Arjun Tendulkar, Nehal Wadhera, Akash Pande, Mohit Jangra and Pawan Shah. Arjun Tendulkar is one of the most important fast bowlers and all rounder present in this team and has been greatly appreciated by the U-19 coach who mentioned that Tendulkar works hard in all aspects of the game. Recently he attracted a lot of attention when he took four wickets and scored a whooping 48 runs off 27 balls in a single match at the Bradman Oval. Pretty amazing for a cricket of only 18 years of age, right? So if you are a cricket enthusiast then you must surely watch the two four day games of the Indian U-19 team for the Sri Lanka tour. The nation would have high expectations from the 18 year old Arjun for keeping his father's legacy at the pitch for the coming days.